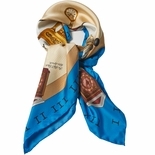 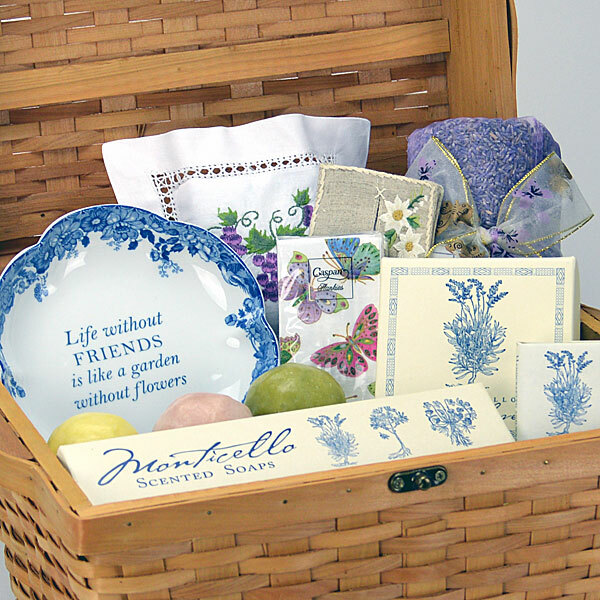 A collection of Monticello’s favorite gifts. 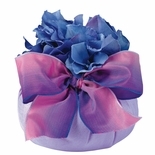 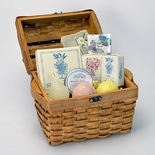 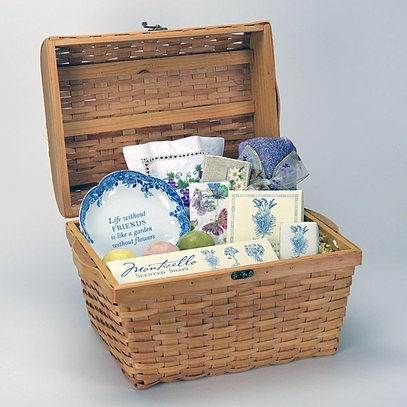 This gift basket includes a yard of lavender sachets, three scented soap balls (lemon, lavender, bayberry), Monticello lavender powder and matching lavender soap bar, handmade tissue holder with tissues, boxed set of three lavender soaps, a lavender scented French sachet, and our best-selling friendship ring tray. Artfully arranged in a keepsake basket.